Learning to see the unseen helps us recognize that our story is part of God’s bigger story of redemption. What we see is not all there is. The material world we can touch, taste, hear, and see is not the only reality around us. What is unseen? This series will challenge us to open our eyes to the spiritual realm so that we can live in the power of the Spirit and fight against the powers of darkness. Big Idea: God created spiritual beings who carry out his work of redemption. Big Idea: Every one of us is in an unseen battle that God equips us to fight. Big Idea: The Spirit is the unseen presence and power of God in our lives. 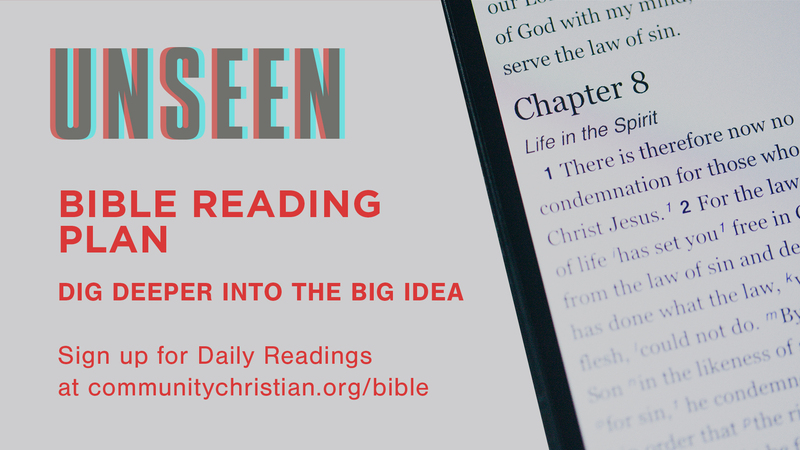 Big Idea: The unseen becomes seen as we invite the Holy Spirit to work in and through us.